Hi guys! 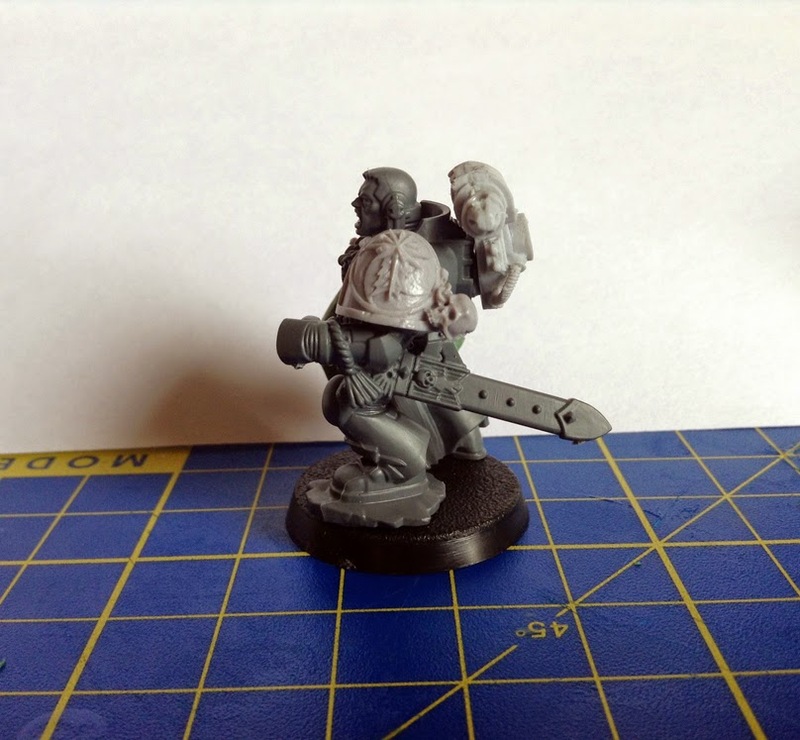 Here's a little conversion project I'm working on these days: Corien Sumatris, Captain of the 2nd Company, the Tyrant's Champion (no worries, I'm also working on Huron Black'eart and will give you guys an update soon!). I had a cool idea for this guy a few days ago and wanted to try it out. Everything is held together with glue tack so the proportions might be a bit off. He still needs to be cleaned up of course but at this stage I wanted to test fit to see if my idea was working. 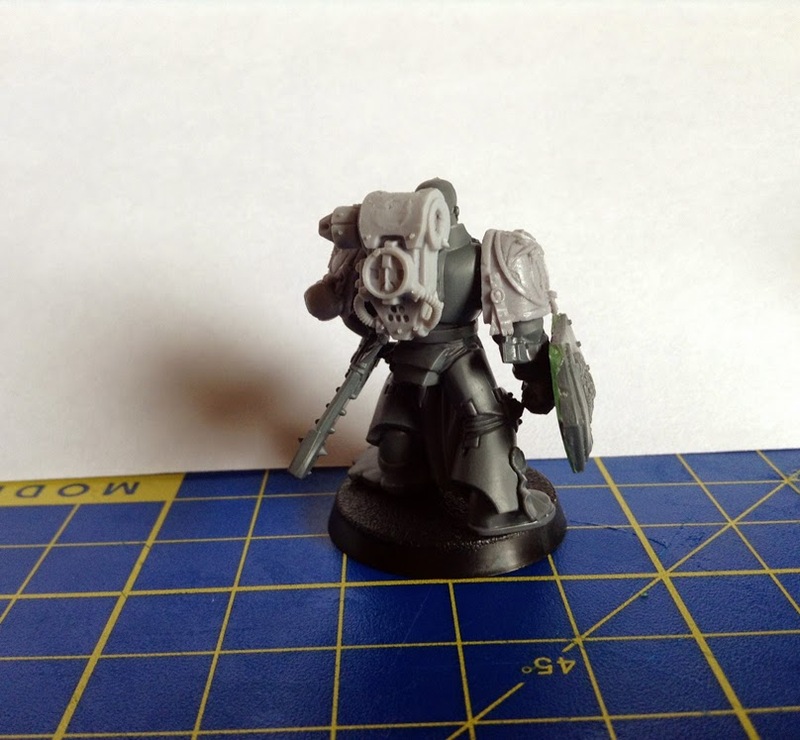 Next thing on the list; scratch building a mechanical arm on his backpack with attached bolter. Should be a nice exercise! Still not sure about his head though... 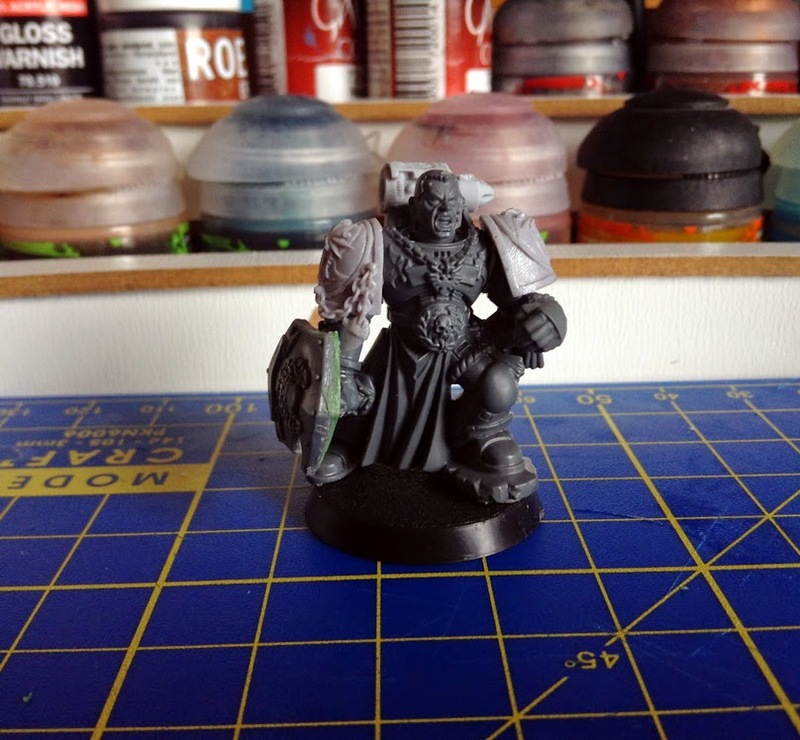 I do want him to be bare headed (I think that helmeted characters tend to get a bit bland) but I'm still on the look out for a better face. Anyway, on to the pics! 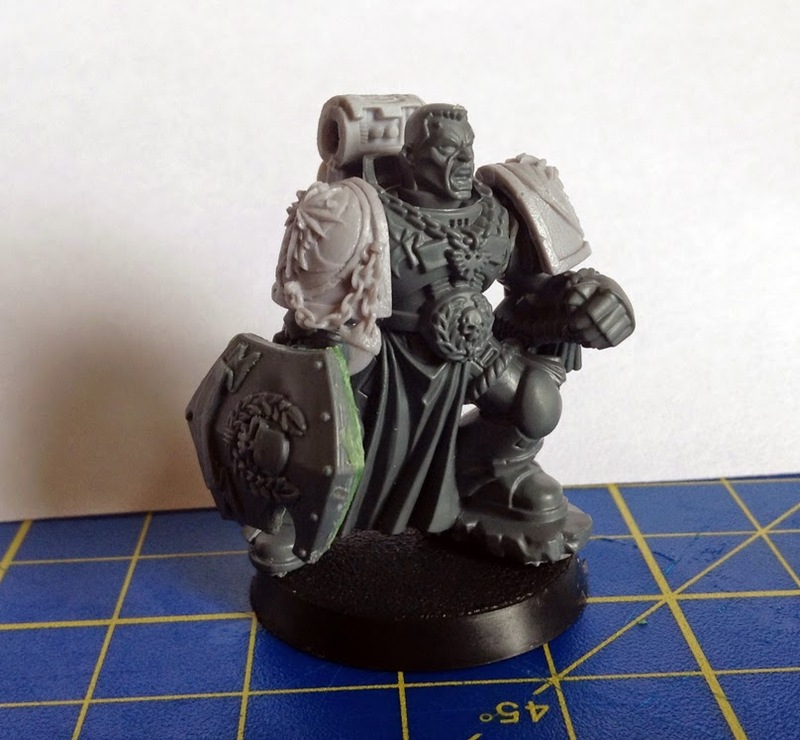 Nice to see someone making a Badab Character! 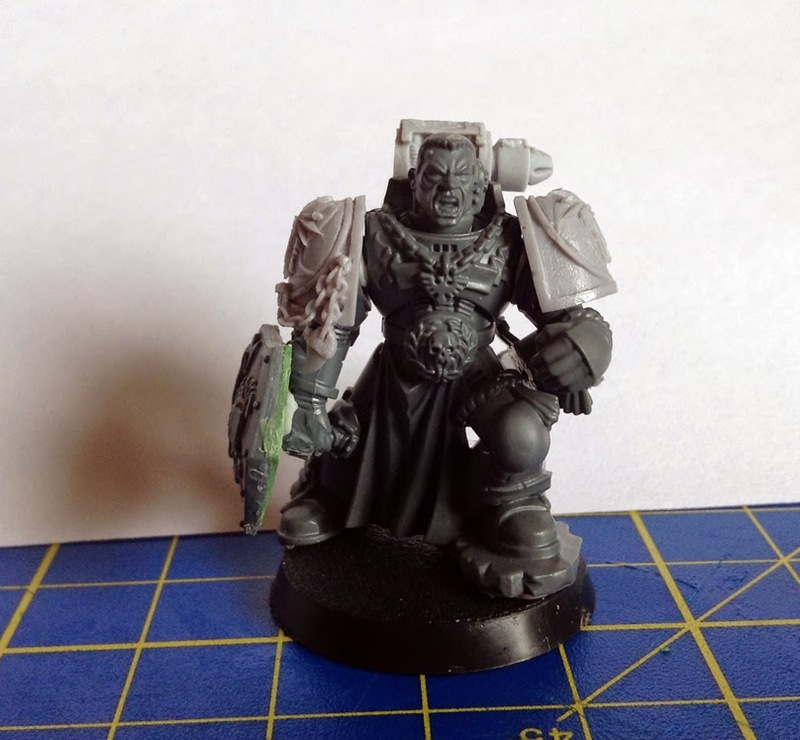 That's a very nice conversion, and I look forward to seeing what you do with the bolter. This is a calmer presentation of Sumatris than I usually envision (I imagine him as a bit more aggressive, due to furious charge and rage), but I really like how it's turning out. I saw him as the captain who stands at the spearhead commanding his forces to an all out attack. And yes he's indeed a brutal person so he'll get some blood spatters on his armour here and there ;) I'm also looking for a more scarred face for him (but hey, there's always the knife or I'll just paint it on). Thanks for comment!